An intimate alcove surrounded by the lush Marcel Wanders designed garden. 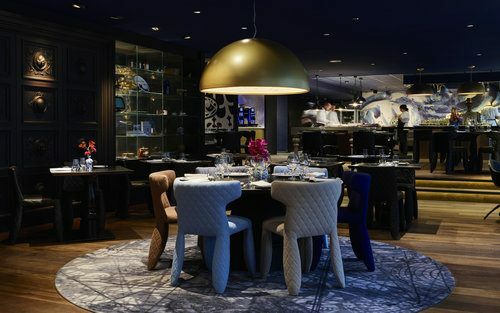 The 10 person semi-private dining area at Bluespoon allows you and your guests to savour Chef Sander Bierenbroodspot’s art of plating and light, fresh & colourful seasonal cuisine with privacy, without losing the atmosphere of the restaurant. 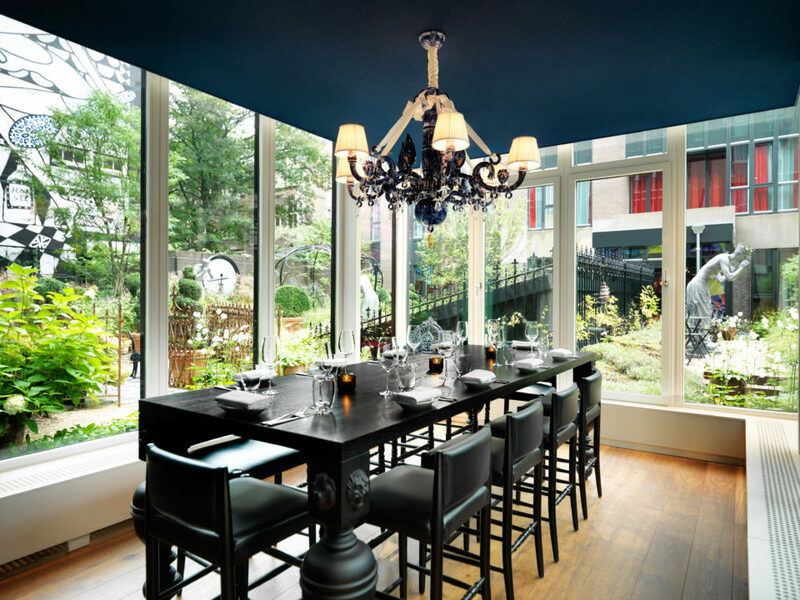 Perhaps the most eye-catchingly Dutch of our private dining spaces. 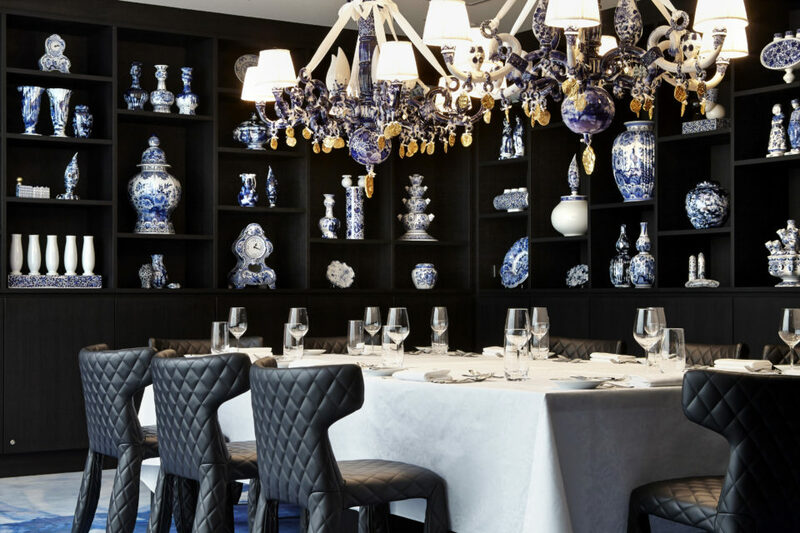 With a combination of natural daylight from the large garden windows and Marcel Wanders’ iconic One Minute Delft Blue porcelain interspersed among the original blue Delftware lining the shelves, this unique spaces offers the perfect place for intimate private dinners for up to 14 people. From birthday, to anniversary, baby shower to marriage, or just a gezellig family gathering, get in touch to explore the options for your next Andaz celebration.